Acne is caused by the clogging of pores by the excess oil (sebum) in a fatty skin as well as by skin cells. Acne-causing bacteria nourish themselves on the fat and eventually multiply themselves in the plugged pores and produce substances leading to inflammation. Who is most prone to adult acne? 1. People who have had acne as teenagers. 2. People doing high-stress jobs. 3. Men. 4. Women. Women. In fact, anyone can develop adult acne, even if one never has had acne as a teenager. But it happens to be most common in women. Hormonal swings or fluctuating hormones during a woman's menstrual cycle, pregnancy, and even menopause may cause acne to flare. A family history of acne, stress, discontinuation of birth control pills, certain prescription drugs, and some skin and hair products may also make women more susceptible to acne. Acne can be a sign of an underlying condition. Yes, sometimes, breakouts on the skin can be a sign of a more serious health condition underlying beneath the acne problem. For example, if you have acne along with excess facial hair, thinning hair or bald spots on the scalp, or irregular periods, it could be a sign of polycystic ovary syndrome, an adrenal gland disorder, or a hormone-secreting tumor. So, in such cases, your acne won't clear up until the medical condition is not treated. When are you more likely to get acne scars? Severe acne and a family history of scarring are two big factors in acne scarring. Early, aggressive treatment is the best way to prevent severe acne and keep it from leaving behind its imprint (scars) on your face. You should see a doctor if acne makes you shy, self-conscious or depressed. 1. True. 2. False. 1. True. Acne can leave emotional as well as physical scars. Some people say their acne makes them less attractive to dates and employers. Others say it has made them lose confidence or become more pessimistic. These are all good reasons to get professional treatment. With the many treatment options that are available now, there's no reason to let it affect your self-esteem or outlook on life. Why should you avoid acne products that contain alcohol? Acne products containing alcohol can dry out and irritate your skin, hence potentially worsening your acne. How do benzoyl peroxide and salicylic acid help in fighting acne? Benzoyl peroxide and salicylic acid are effective acne fighters that reduce excess oil and help break down whiteheads and blackheads. How do retinoids help in treating acne? Retinoids, which are derived from vitamin A, treat acne by unclogging pores, which helps prevent whiteheads and blackheads. Can sunlight, make-up and bike helmets aggravate acne? Yes. Some acne products make skin more susceptible to intense sunlight or sunburn. Bike helmets, baseball caps, and headbands that rub against your skin can also cause problems, as can heavy foundation make-up. Why may dark spots develop on colored skin where blemishes were found? In people of color, blemishes leave behind dark spots that occur as a result of "post-inflammatory hyperpigmentation" (PIH). They are a natural reaction to inflammation and usually happen to persist over a long time. Then, people who get them feel uncomfortable as they are unattractive and disturbing. Early treatment including a combined application of laser treatment and professional aesthetic products can help you avoid these spots and scarring if you have dark skin. After how long should you see a doctor if your acne has not improved with treatment? You should know that there are no overnight treatments or cures for acne. Because acne treatment is aimed at preventing new blemishes, it takes time to work. If an over-the-counter treatment doesn't seem to be improving your acne after about 4-8 weeks, don't give up. It's the right time to see a doctor who can help you get rid of your acne. What is the best treatment today for moderate to severe acne? Aesthetic medicine doctors nowadays use a combination therapy of two or more different treatment methods in order to treat acne. However, the leading method in the treatment of acne is the application of several laser and light therapies that have proved to be highly effective in dealing with acne pimples/pustules/cysts and acne scars. Laser skin resurfacing is a very good and widely applied method of treatment. Lasers and LED light technologies work to give results by destroying the bacteria, diminishing the oil (sebum) production due to shrinking of the oil (sebaceous) glands as well as constricting the dilated pores, all of which contribute to the development of acne. Sometimes this may include an oral antibiotic and/or contraceptive in women. Birth control pills, which help slow down oil production, are most often used for women who get blemishes around their menstrual period. Is there any form of acne that can't be treated? No, virtually all forms of acne can be prevented or treated effectively today. Most cases of moderate to severe acne require the care of a specialist of aesthetic medicine and laser medicine, who can prescribe stronger treatments than those that are available over the counter. Even acne scarring can be treated now with laser skin resurfacing, fractional laser skin resurfacing, minimally fractional radiofrequency technologies, microdermabrasions, chemical peels, and other treatments. Which daily self-care strategies can help prevent acne and flare-ups? 1. Gentle washing, not scrubbing, with a mild soap. 2. Using an oil-free sunblock. 3. Not squeezing or picking at pimples. 4. Using non-comedogenic skin care products. Habits, such as gentle cleansing and using sunblock daily also help you to prevent premature aging. Also be sure to maintain your current acne therapy to avoid breakouts a few weeks later. There are so many medications and treatments available for acne management that these can be often confusing and overwhelming. It is as well easy to make mistakes treating acne or even make it worse, despite trying your best to treat it effectively. in order to get the desired results. You need to call for an appointment as soon as acne starts becoming a hindrance for your personality, causes too much scarring on your skin, and the medications you are using are not clearing it up. Our clinic has got the latest technologies providing laser and non-laser light treatments as well as chemical exfoliations/peels and acne-specific aesthetic products from the USA in order to help you fight your acne and make it vanish. Patients start trying different products and abandoning them very quickly if they don't see results in a few days. It becomes worse when they start adding one product to another. In this way, the products can cause irritation and other side-effects on the skin, thus worsening the acneic skin problem and leading to accidental skin traumatization, making the acne lesions look bigger and leaving hyperpigmented spots and scars. You should use the medications strictly as instructed by your doctor. Over-usage of your medications may not help clear your acne but, on the contrary, may cause additional stress to your skin, making the latter red and dry. You need to be consistent with your treatment. Don't lose your motivation after the first two weeks and don't under-use your products and/or medications as such inadequate treatment fails to prevent break-outs. Please don't expect results overnight as acne is, most of the time, a tough skin disease to resolve. Alcohol-based products, harsh cleaners and alkaline bar soaps could worsen acne. Patients need to look for non-comedogenic or for acne-prone skin products as these don't contain ingredients that clog pores in acne-prone skin. Some ingredients found in products like cosmetics, sunscreen and moisturizers are more likely to clog pores. These ingredients include isopropyl palmitate, isopropyl myristate, butyl stearate, isopropyl isostearate, decyl oleate, isostearyl neopentanoate, isocetyl stearate, myristle myristate, cocoa butter, acetylated lanolin and D & C red dyes. Products containing oil can also clog pores and lead to break-outs. 6. Overcleansing or overscrubbing the skin. Overscrubbing the skin will actually worsen the acne as the skin's protective barrier is broken and irritation cna occur. Therefore, you need to wash gently with a non-irritating, pH-balanced cleanser to decrease inflammation. It is also essential to thoroughly rinse off the cleanser as any residue left on the acneic skin could be irritating. Acne is not from dirt. Many people tend to overwash or overscrub their skin when they get acne. Just remember the following: "If acne were from dirt, people would most probably have it on their feet"! Popping and picking your pimples will increase scarring and increase your healing time and your hands very often being "unclean"/unsterile may infect your skin further and aggravate your skin condition, making it more swollen and red. You need not examine your acne lesions closely several times a day because you will finish up imagining that you can stick in the lesion or extract something from it. If you do so, your acne lesions will definitely get worse. 8. Stopping the use of acne medications/products once it clears up. You need to keep up the use of your medications/products for a period of at least one to three months after your treatment at the clinic stops and you may decrease their use day by day. If you have been using them twice daily, you may use it once daily, then once on alternate days, then twice a week and then stop. However, it's recommended to continue usage of at least one anti-acne product in order to keep your skin blemish-free. Acne is the most common form of skin disease, usually affecting people aged 15 to 25 years. Only few people manage to escape from pimples during their teenage and youth. Acne usually clears away for most people in their mid 20s. However, some people may find acne to persist after their mid 20s and become a serious problem resulting into physical, emotional and mental disturbing effects. Both young males and females get acne. Adolescent boys and young men (12 - 25 yrs old) are more likely to develop acne as they have higher levels of androgen hormones than females. Acne in males is usually more severe than in females but it normally settles during their early 20s. Females may develop the first signs of acne whilst reaching puberty but they are more likely to suffer from long going acne, where in some cases the disease may persist even at the age of 30 - 40 or more years. 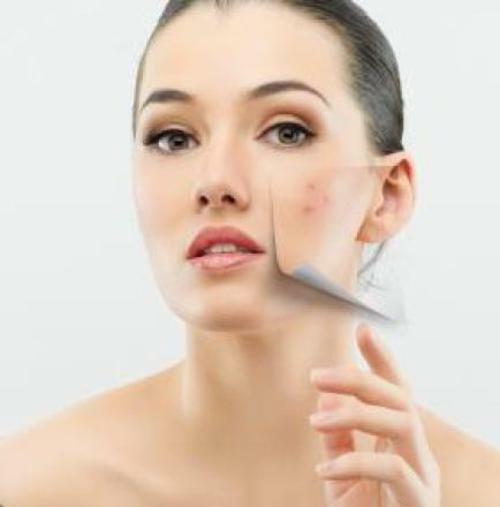 However, it is good to know that all types of active acne can be well treated by safe laser, IPL/RF and blue photonic therapies in combination with the intake of appropriate phytotherapeutic medications, application of high grade cosmeceuticals and observation of diet and proper detoxification. Acne vulgaris (acne) is the formation of comedones, papules, pustules, nodules, and/or cysts as a result of obstruction and inflammation of pilosebaceous units (hair follicles and their accompanying sebaceous gland). Acne occurs when pilo-sebaceous units become obstructed with plugs of sebum and desquamated keratinocytes, then colonized and infected with the skin anaerobe Propionibacterium acnes. Acne can be inflammatory or non-inflammatory, depending on whether Propionibacterium acnes stimulates inflammation in the follicle. Comedones, uninfected sebaceous plugs impacted within follicles, are the signature of non-inflammatory acne. Comedones are termed open or closed depending on whether the follicle is dilated or closed at the skin surface. Inflammatory acne comprises papules, pustules, nodules, and cysts. Papules appear when lipases from Propionibacterium acnes metabolize triglycerides into free fatty acids (FFA), which irritate the follicular wall. Pustules occur when active Propionibacterium acnes infection causes inflammation within the follicle. Nodules and cysts occur when rupture of follicles due to inflammation, physical manipulation, or harsh scrubbing releases FFAs, bacteria, and keratin into tissues, triggering soft-tissue inflammation. What happens if acne is not treated early enough? When acne is not treated early enough, it can cause permanent and disfiguring scars on the skin in the form of ice picks and other scar forms. So, it is important to treat active acne early enough with Laser, IPL/RF and Blue Photonic Therapies in order to avoid getting permanent scarring. Severe acne in the form of large, deep, solid and painful lumps or cysts in your skin can be treated by laser, IPL/RF and Blue Photonic therapies. Acne breakouts can cover large areas of your face or body and may often not go away for several months or years. Such long-lasting acne conditions may lead to a lack of self-confidence, self-esteem as well as an increase in nervosity, grief, anxiety and/or depression. Now the VIP Laser Clinic is offering you one of the latest, officially approved and best methods of treatment for effectively eliminating your active acne papules and pustules. This treatment is called Intense Pulsed Light/Radiofrequency (IPL/RF) Treatment combined with Blue Photonic Therapy. This mode of treatment is highly effective for fighting your persisting active acne. IPL/RF technology heats up the subcutaneous tissues and breaks the sebum that causes active acne to form. Due to the heat, the acne-causing bacteria are also destroyed. In an aim to consolidate the elimination of acne-causing bacteria, blue photonic therapy is further administered. Blue photonic therapy is absolutely safe and effective for any skin type. It is also comfortable, painless, non-invasive, quick, convenient and adaptable. No down time is needed after treatment. IPL/RF treatment also helps contract and restructure collagen fibers, thus causing effective skin smoothening and tightening as well as improving your skin quality. You’ll see your skin getting better and better as you will go through a series of treatment sessions. You'll feel how your skin surface gets smoother and blemish free. IPL/RF treatment with blue photonic therapy is recommended once in every 2 - 4 weeks. Some 3 to 6 such sessions may be normally required in order to completely eliminate all active acne elements - cysts, papules and pustules, depending on the agressiveness of your acne process. Each treatment session lasts around 45 - 60 min. Such blue photonic treatment using the wavelength range of 405 to 420 nm is FDA approved for treating acne and the latter's bacterial and inflammatory conditions. Acne is caused by bacteria, mainly Propionibacterium acnes (P. acnes) which produce an organic compound called porphyrin. When exposed to blue light, porphyrin generates singlet oxygen that may kill the bacteria responsible for causing acne. Specific blue light can effectively treat inflammatory acne vulgaris that does not respond to other acne treatments, especially for darker skin. The specific blue light kills the acne-causing bacteria without causing any injury to the skin, at the same time decreasing acne and its inflammatory manifestations to the maximum in the shortest time possible. While following this special IPL/RF treatment combined with blue light therapy, one should observe all other aspects of cosmeceutical and medicamentous treatments as well as diet and personal hygiene so as to enhance the effectiveness of the treatment and accelerate the results of attaining the complete elimination of acne vulgaris and getting a completely clean and clear skin. IPL/RF treatment combined with Blue Photonic Therapy of acne comedones (blackheads and whiteheads), pustules (pimples), papules (pinheads), nodules (large papules) and cysts has become one of the most effective forms of treatment of acne in the world and this special treatment is now available at the VIP LASER CLINIC Med Spa! One such treatment session may cost between 10,000 to 15,000 MU rupees or more, depending on the complexity of the procedure and the time duration required for treating the various elements of acne present in your skin at the moment of consultation and treatment as well as for transforming the oily acneic skin into a normal healthy skin. This price range is given here just for your kind orientation but the final price of your session will be determined by the doctor during your consultation at the VIP Laser Clinic.